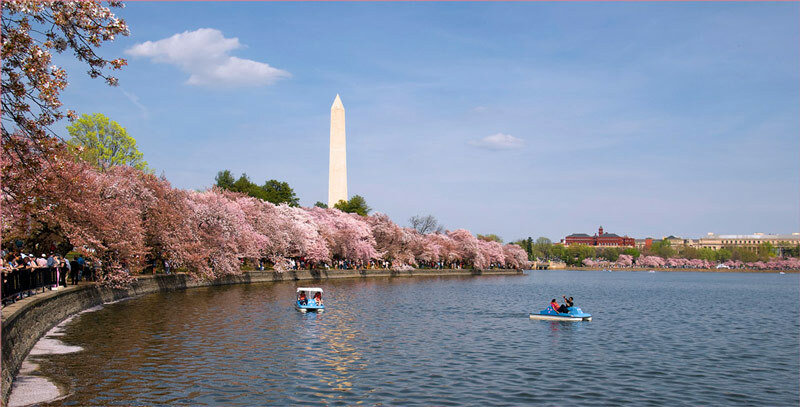 The nation’s capital has a wealth of scenic arched bridges, waterfront walks and majestic landmarks that all add up to one seriously romantic city. 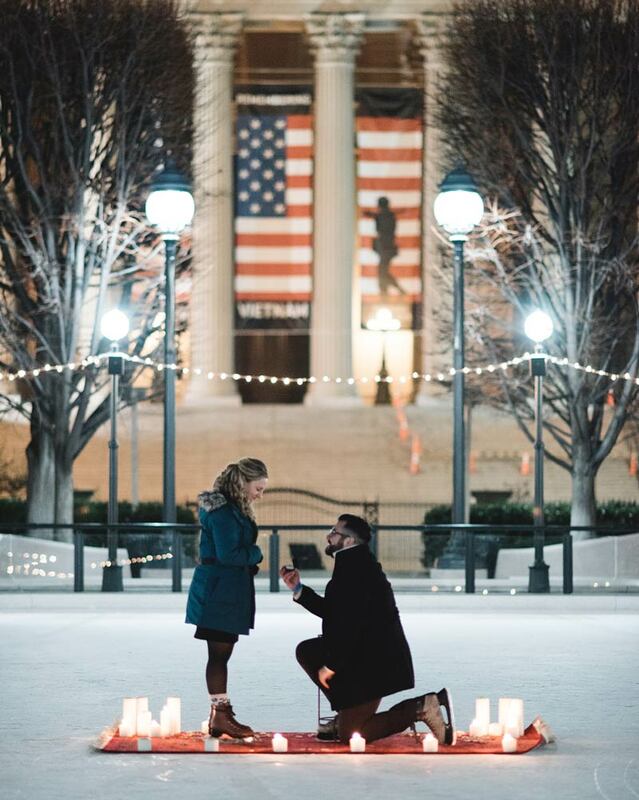 There's no denying that Washington, DC is a romantic city. 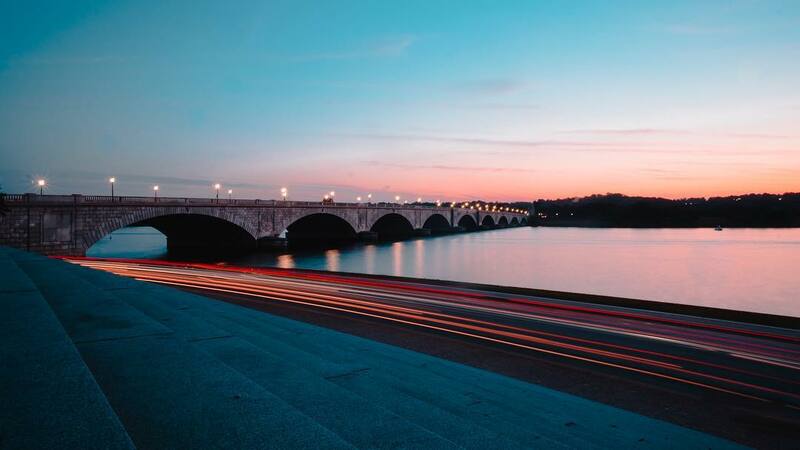 It’s built on not one, but two rivers, the Potomac and Anacostia, has no shortage of iconic architecture and regularly ranks atop the country’s most walkable cities. What does all that mean? There’s endless possibilities for romantic strolls and dazzling sights in this 68-square-mile city. The nation's capital really is the capital of romance, where the date possibilities are seemingly infinite. 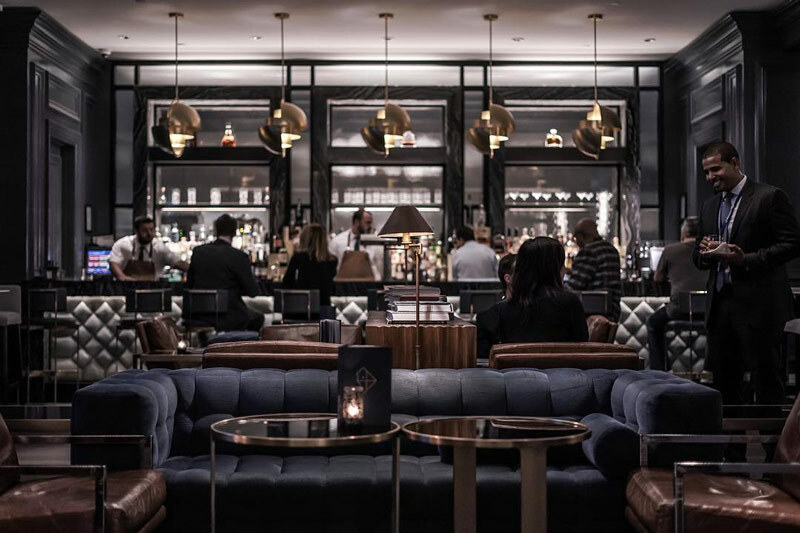 Discover DC’s most romantic spots and do date night right. 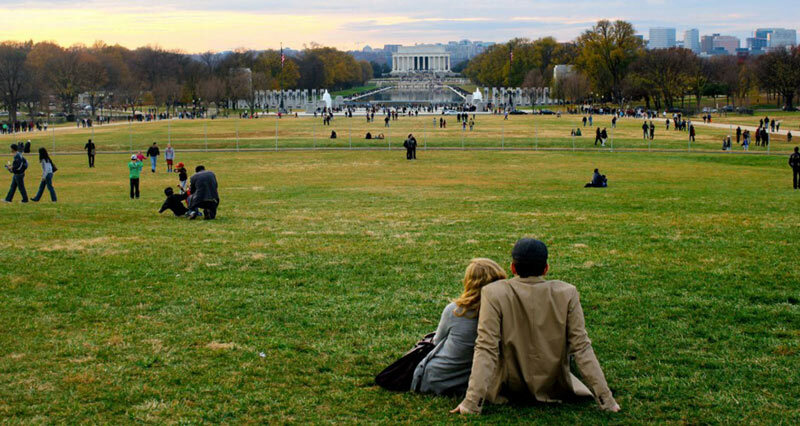 For some QT with your cutie, grab a seat on the National Mall and take in the world around you while gazing at DC's famous monuments and memorials. 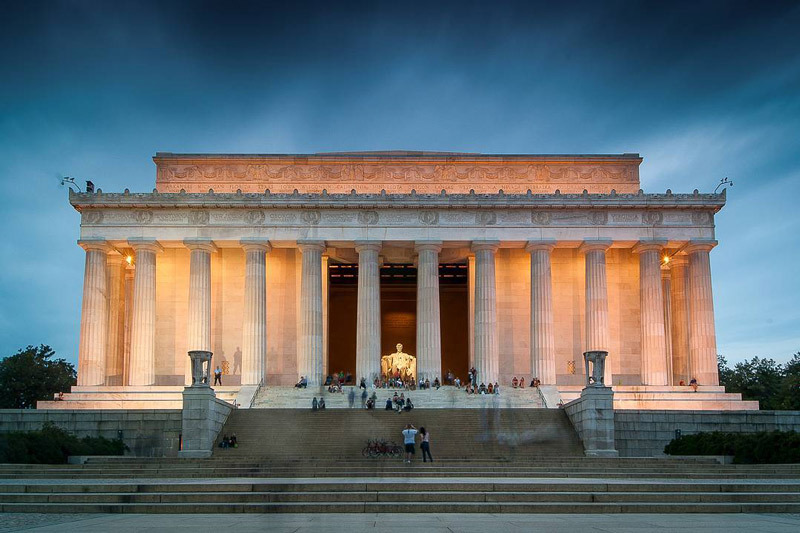 The Lincoln Memorial is breathtaking at night. Lead your sweetheart up the stairs for a moment that will surely go down in history. 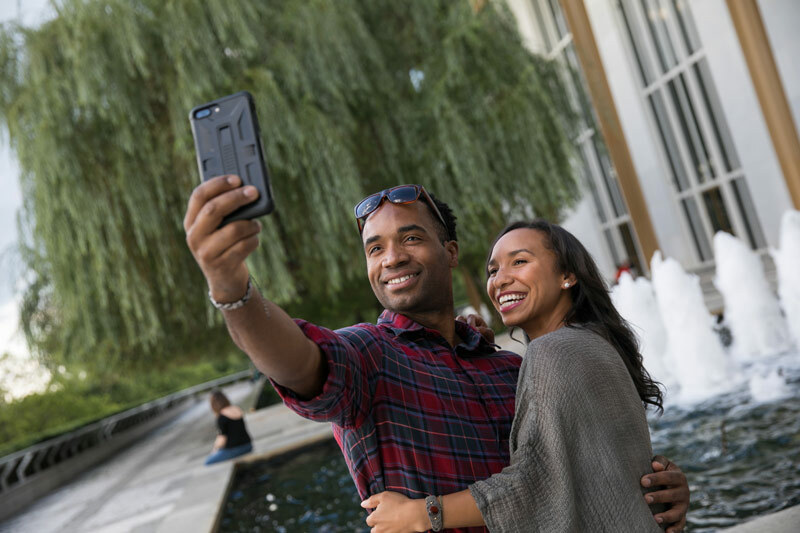 A date night at the John F. Kennedy Center for the Performing Arts is a must, but be sure to step out during intermission and admire the dazzling cityscape from the the wrap-around terrace. Or you can also keep the Kennedy Center in your sights with a walk along the Georgetown waterfront. Grab your mittens and your sweetie as you ice skate in the middle of the National Gallery of Art Sculpture Garden. Afterwards, make a beeline for hot chocolate and cookies at the on-site Pavilion Café. In warm weather, this rink transforms into a stunning fountain. 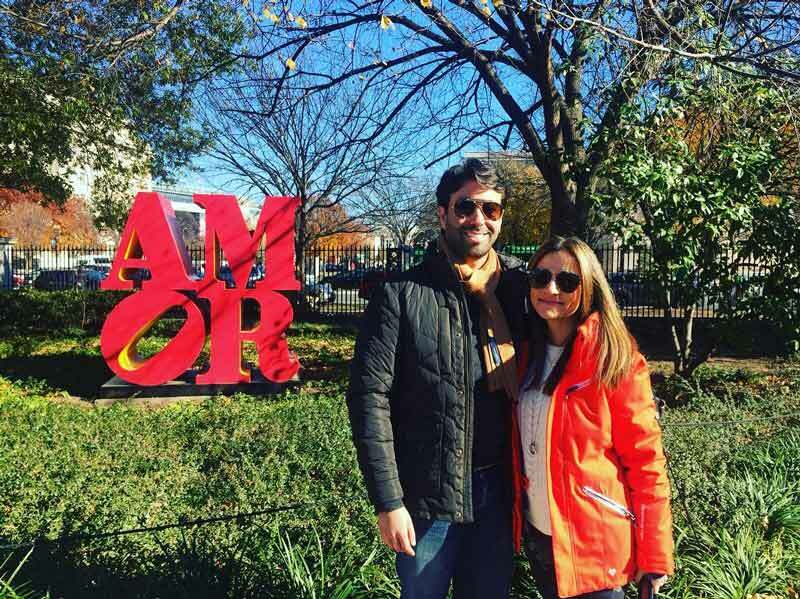 Step further into the National Gallery of Art's Sculpture Garden and you’ll come face to face with the Spanish-language version of Robert Indiana’s iconic LOVE sculpture. 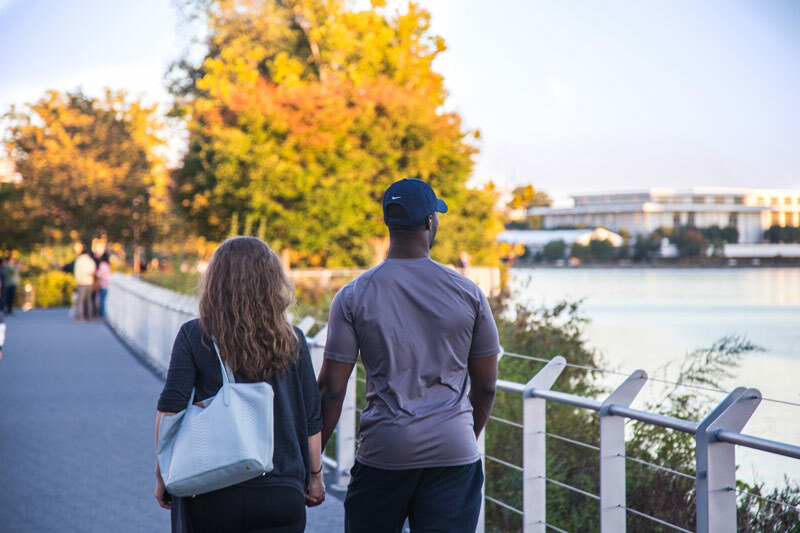 DC’s lively Capitol Riverfront neighborhood is home to the always-exciting Yards Park, which has an iconic bridge and plenty of adventures nearby, like Ice Cream Jubilee for when you’re feeling extra sweet. Set up camp by the fire with your babe inside the cozy lobby of the Ritz-Carlton, Washington DC. Grab cocktails from the lounge at Quadrant Bar & Lounge, where you can listen to live jazz every Saturday, and settle in for a long night. 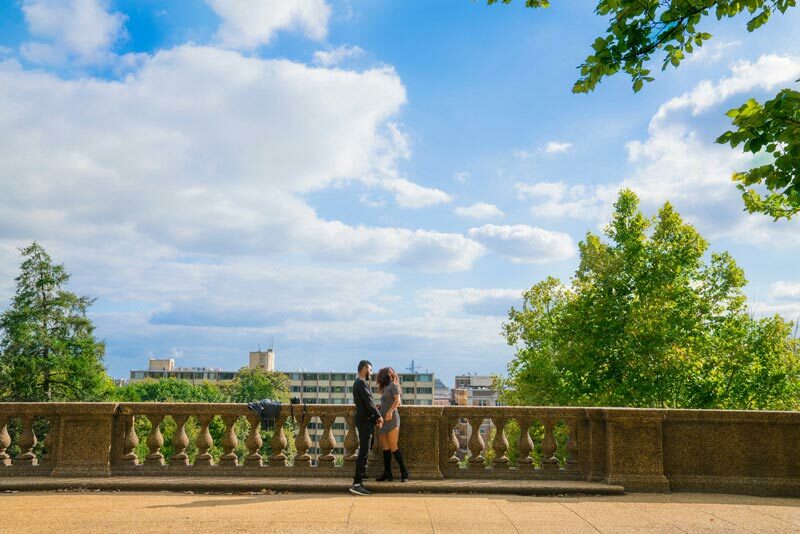 Use your one-of-a-kind charm on your date as you walk through historic Georgetown. The beauty of the neighborhood's waterfront, cobblestone sidewalks and grand homes will draw you and that special someone further into this picturesque area. Watch your love grow like a tree with a trip to the National Arboretum, a 446-acre living museum brimming with gardens, cherry blossom trees, as well as the original columns of the U.S. Capitol building. One of the most romantic ways to see the Arboretum is during a full moon hike. 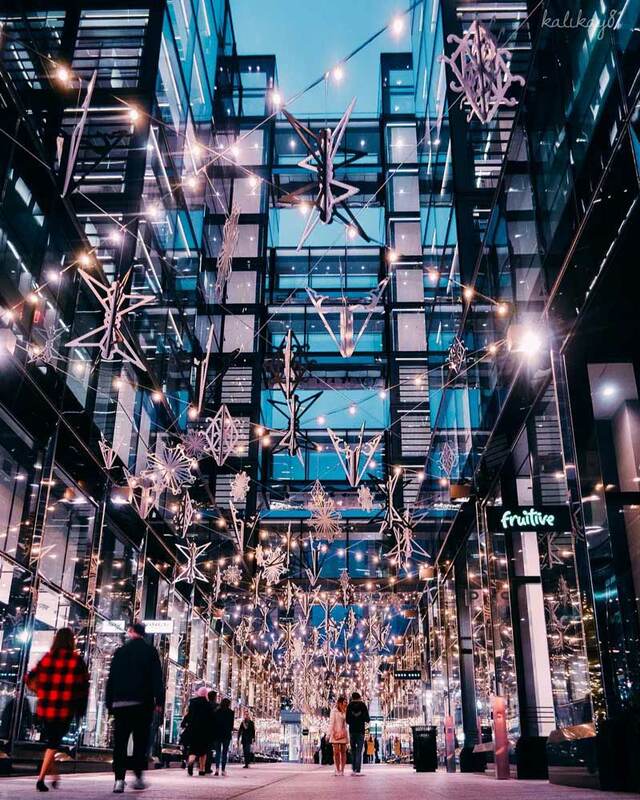 The atmosphere under the stringed lights in CityCenterDC’s Palmer Alley is something you can only feel when you’re here. Shop for a sharp evening outfit at Paul Stuart, share a treat from the market at Centrolina, or dine at any of its courtyard-facing restaurants. 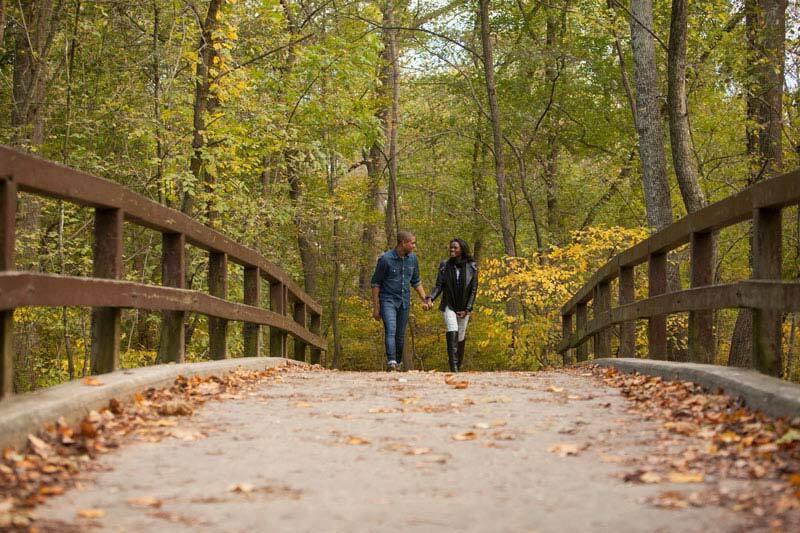 Walk, jog or bike with your love through the rustic expanse of 2,100 acres that comprise Rock Creek Park. The historic park also includes attractions such as Peirce Mill and the Old Stone House, as well as a nature center, riding stables, tennis courts, a golf course, picnic areas and playing fields. The chic POV Rooftop Lounge and Terrace at the W Hotel serves as a beacon for cupids, casanovas and the like. 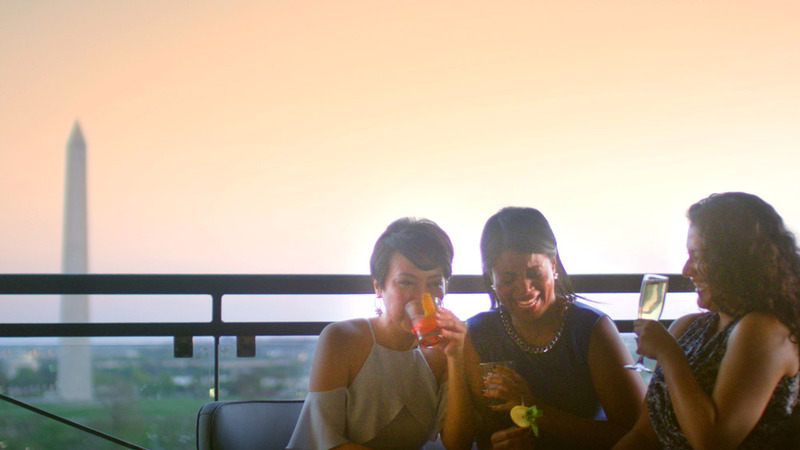 Sip some bubbly and pass the hors d’oeuvres while taking in awe-inspiring views of the National Mall and White House. 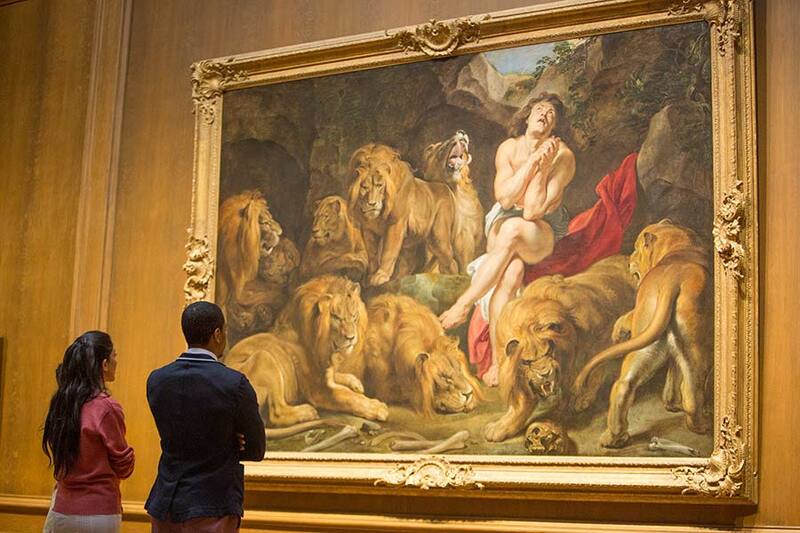 With its luscious Impressionist masterworks by iconic artists such as Claude Monet, Auguste Renoir and Edgar Degas, it’s easy to get dreamy while spending the day at the National Gallery of Art. The beautiful, serene and quiet gardens at Dumbarton Oaks are just a few minutes stroll from the hustle and bustle of Georgetown proper. Chart a course through the European designed garden to locate the ornaments and inscriptions. Nestled in a clearing among trees along the flank of the Mall (beyond the World War II Memorial and the Korean War Veterans Memorial) sits the elusive District of Columbia War Memorial. 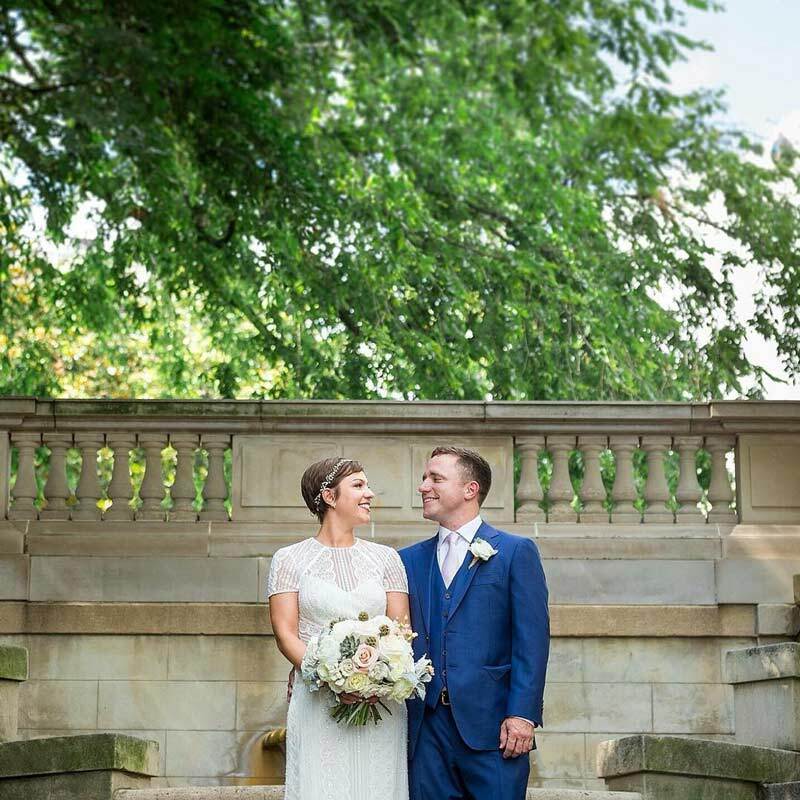 The domed temple serves as a romantic hideaway and is one of the few sites on the National Mall where you can get married. Take in the sweet sounds of live music with your sweetheart at the 9:30 Club on V Street NW. 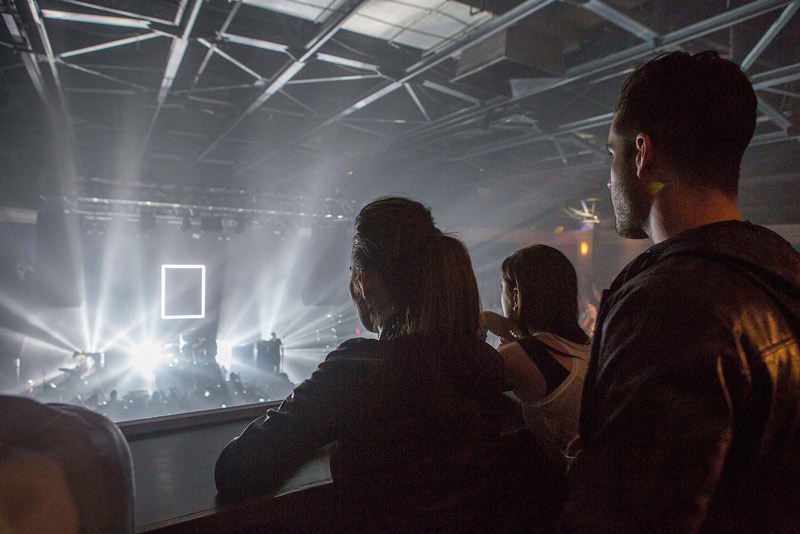 The music venue has made DC cool since its opening in 1980, catering to national acts. The ultimate date night event is taking in a sunset together. You can’t go wrong catching the sunset from the Graffiti Cliffs near the C&O Canal and Key Bridge, which connects Georgetown to Virginia. Sometimes, the most romantic spots are neighborhood fixtures. 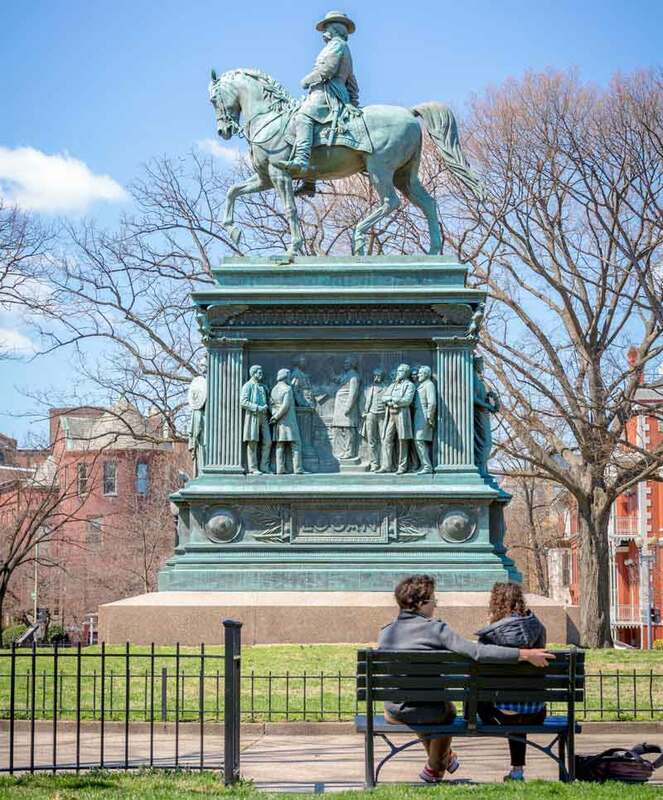 Plop down on a park bench at Logan Circle before a hot date on always-exciting 14th Street. The expansive Hillwood Estate, Museum & Gardens of heiress Marjorie Merriweather Post in Upper Northwest is perfect for snuggling up with your sweetie as you stroll the gardens and take in the museum’s lavish treasures. 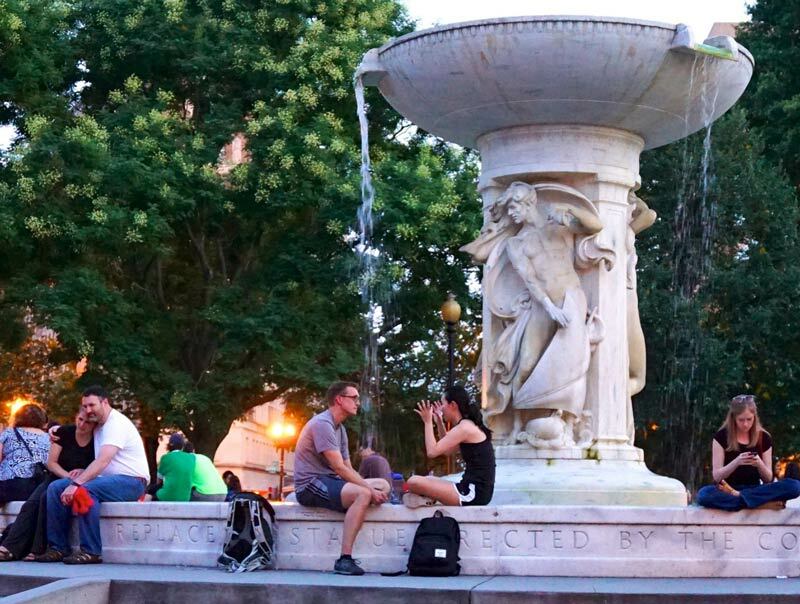 If you’re looking for more of a social atmosphere, Dupont Circle is especially woo-worthy (and people-watching friendly).The gorgeous fountain serves as the epicenter of one of DC’s most exciting neighborhoods, with a surrounding plaza that frequently features locals playing chess or lounging on benches. 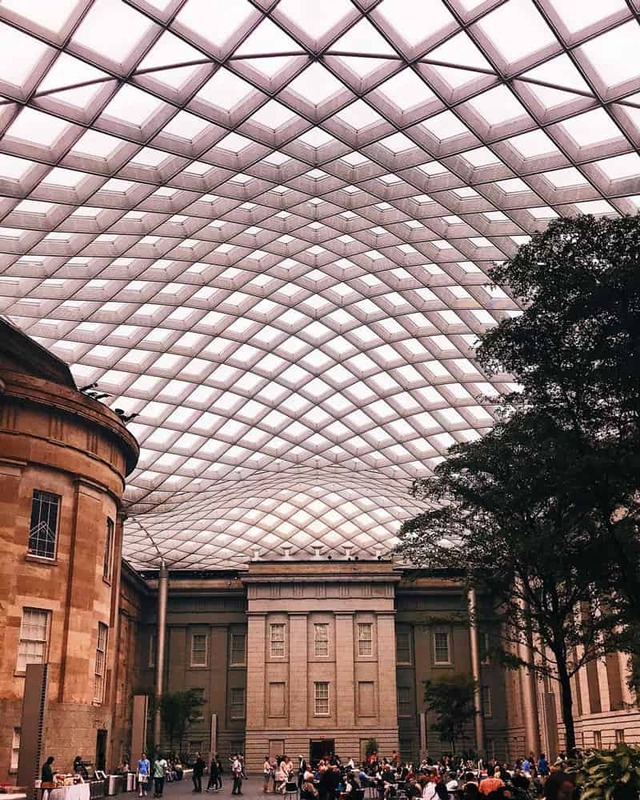 Visit with your love under the elegant glass canopy in the Kogod Courtyard, situated in between the Smithsonian American Art Museum and National Portrait Gallery. 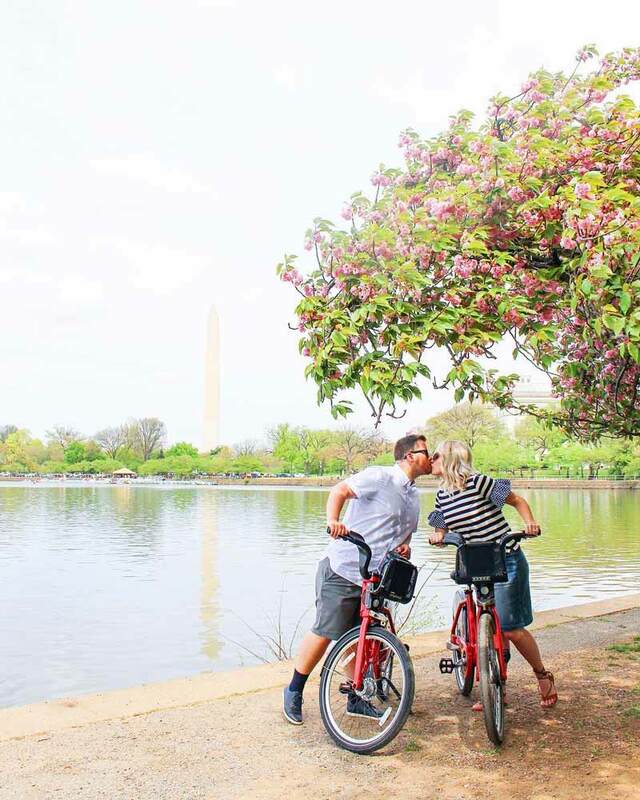 Get in sync with your partner as you pedal a Tidal Basin paddleboat and cruise by the Jefferson Memorial. Back on dry land, the Tidal Basin offers a serene setting for you and yours. You’ll also have direct access to the Jefferson, Franklin Delano Roosevelt and Martin Luther King, Jr. memorials. Peruse DC’s museums and pick a favorite artwork, like Renoir’s Luncheon of the Boating Party at The Phillips Collection, America’s first museum of modern art. 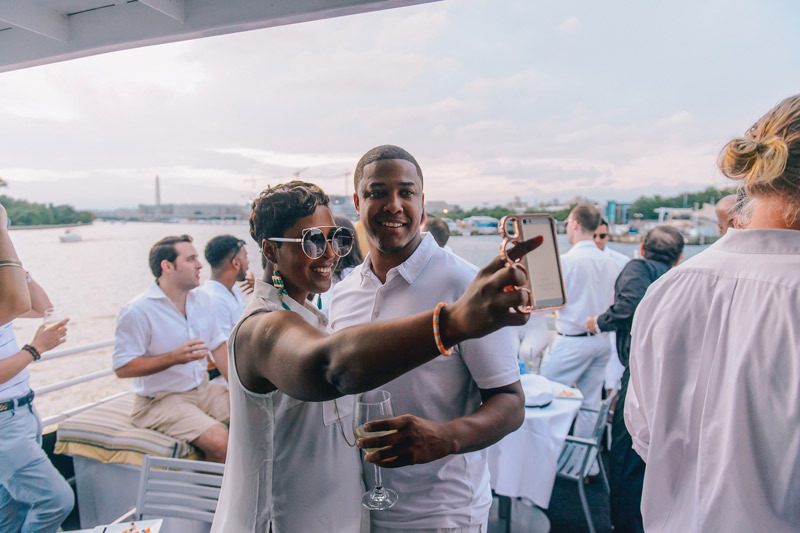 DC is a waterfront city, so get out on the Potomac and Anacostia rivers and cruise under all of those romantic arches. Book a trip through Entertainment Cruises, or for something more intimate, book with Embark, which can hold up to six people. 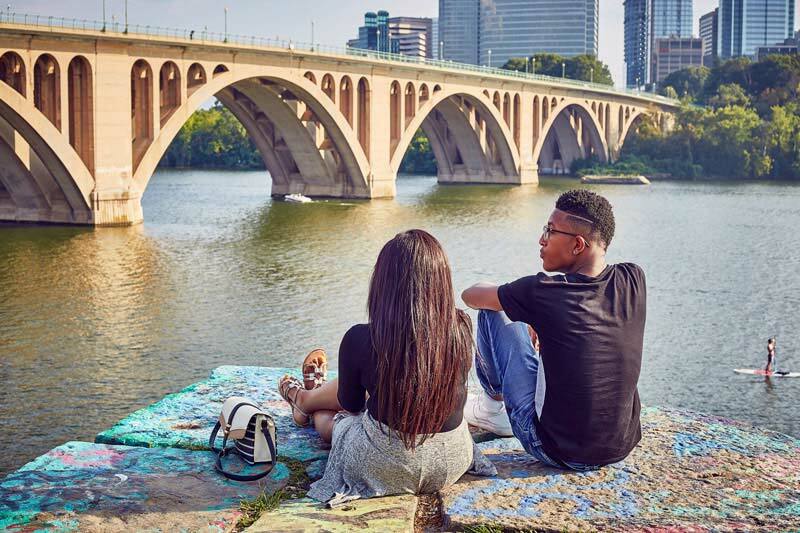 Drop some knowledge on your honey at the Watergate Steps, which look out over the Potomac River. These steps were first created as a way to welcome foreign dignitaries and heads of state, and now they welcome in-the-know romantics. Stop by Meridian Hill Park, also known as Malcolm X Park, and marvel at the longest cascading fountain in North America. Also, keep an eye out for the Joan of Arc statue, the only equestrian statue of a woman in the city. Make a dash for the Spanish Steps, located on 22nd Street in Dupont Circle. This little lovers nook is a prime picnic spot and off-the-radar gem. Alright, now that you’ve got the most romantic spots sorted out, you’ve laid the groundwork for a great date. 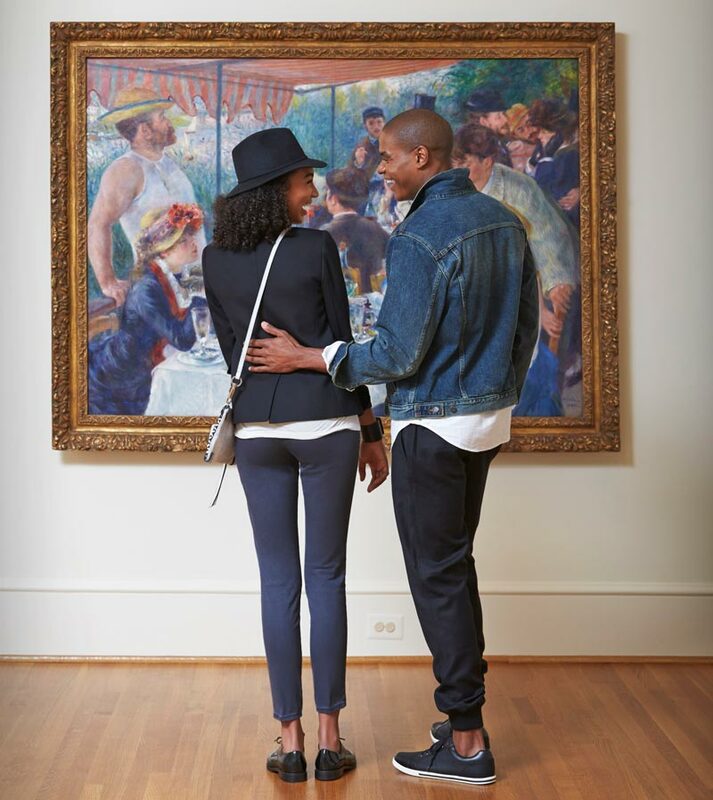 For more ideas to woo your boo, check out how to do date night right in Washington, DC.